Comments: This species has brittle wood and is considered by some to be a weedy tree. It does have beautiful flowers in spring. Makes a good open lawn tree in parks and other public grounds. Heavy shade beneath the canopy of catalpa trees. 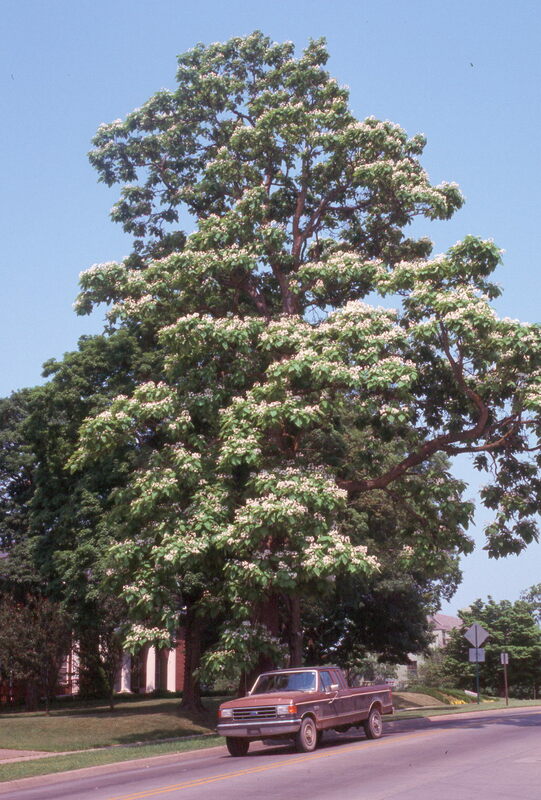 This species tends to grow more upright with an irregular canopy than the regular catalpa. This one is quite common in midwestern landscapes.